Prince Harry and his new wife, the former actress Meghan Markle, joined the pageantry of the annual Trooping the Color ceremony Saturday in London to celebrate Queen Elizabeth II’s official birthday. 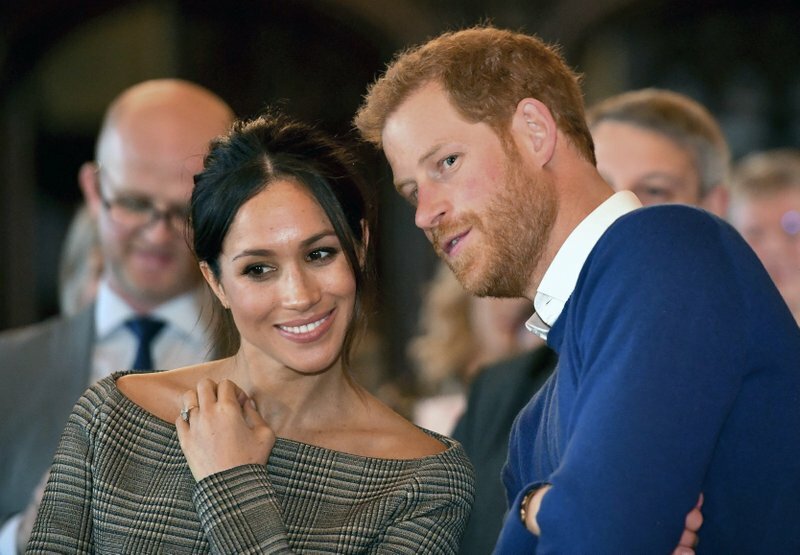 The duke and duchess, who married three weeks ago, made the short trip from Buckingham Palace to Horse Guards Parade in a horse-drawn carriage as royal fans lining the Mall cheered and waved. The couple later joined other members of the royal family on the palace’s front balcony to watch the Royal Air Force fly by. As the aerobatic display team, the Red Arrows, released plumes of red, white and blue smoke over the balcony of Buckingham Palace, the queen’s great-grandchildren waved wildly. She smiled — both at the jets and the children. One guardsman stood out: Charanpreet Singh Lall, a 22-year-old Sikh from Leicester, who wore a black turban. It marked the first time a member of the Coldstream Guards took part wearing turban — and Lall hoped it wouldn’t be the last. Lall joined the British army in January 2016. He was born in India and his family moved to the U.K. when he was a baby, BBC News reported. The turban he wore on Saturday featured a ceremonial cap star to match the hats worn by the other soldiers in the ceremony. “My mum was crying on the day I passed out so I wonder what is going to happen to her when she sees me in this,” he said. Trooping the Color is a ceremony deeply rooted in the history of the United Kingdom. It originated from traditional preparations for battle when flags, or colors, were “trooped” so soldiers in the ranks would be able to recognize them. 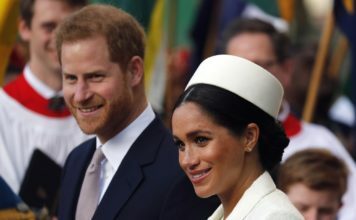 The Duchess of Sussex, as Markle is now known, wore a Carolina Herrera dress and a hat by Philip Treacy. The Duchess of Cambridge, the former Kate Middleton who is married to Harry’s older brother Prince William, wore a dress by Alexander McQueen and a hat by Juliette Botterill. The queen, who wore a sky blue coat and dress by Stuart Parvin and a hat by Angela Kelly, traveled alone in an Ascot Landau. The queen’s husband, 96-year-old Prince Philip, has retired from royal duties. 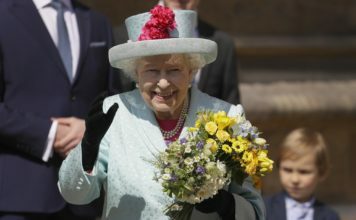 Some 7,500 guests joined the monarch at Horse Guards, with prime seats accorded to U.S. Defense Secretary James Mattis and Britain’s Defense Secretary, Gavin Williamson.